According to a major study conducted in New York’s public housing areas, outdoor security lighting cuts nighttime crime by 39 percent. The study of 80 high-crime housing developments found that security lighting dramatically decreased the instance of both misdemeanor and felony crimes. It’s unfortunately common for criminals to attack people when they are approaching or entering their home. Fortunately, this situation is also fairly preventable. Would be attackers select easy targets – those who are preoccupied or in the shadows. By lighting up all of your entries, you are less vulnerable to attackers while trying to enter your home. Ambush-style attacks often happen along dark, shadowy walkways. To avoid these types of attacks and surprises on your property, be sure to illuminate all of your walkways. You can do so with floodlights, accent lighting, or a combination of lighting options. Whatever you choose, make sure that the lighting is adequate enough to illuminate all areas of your walkways. Statistically speaking, most thieves will attack when you’re not home because there’s less risk of being caught. A dark garage or storage building sweetens the pot. All thieves want is direct access to your most valuable items without being seen. If you want to deter them, make sure your storage areas are lit and visible from the road. Being able to see your blind spots keeps you safe while driving. It can also keep you safe around your home. If your property has blind spots, such as a dark corner, place lights in a strategic location to chase the shadows away. Any open areas, such as a pool, garden, or sitting area, should be illuminated as well. Any area that your family frequents, regardless of how close it is to your house, should have adequate lighting. You don’t want too much lighting in these areas, but you also don’t want too little. If you look at your home from the street, you should not be able to see any large areas of shadow where someone can hide or escape unseen with your things. If you’re inside your home, you should be able to look out your window and clearly see all critical areas of your yard. You don’t need a lot of bright light to illuminate your yard adequately – you just need large swaths of soft light. Reserve bright lights for entryways, walkways, and other critical areas. To generate large swaths of soft light, you must position your lights properly. To get the most coverage, mount lights high and point them downward. This serves two purposes: it allows you to cover more area with one light, and it lessens the intensity and glare of the light. You only need enough light to chase away the shadows – you don’t want to blind yourself or your neighbors. 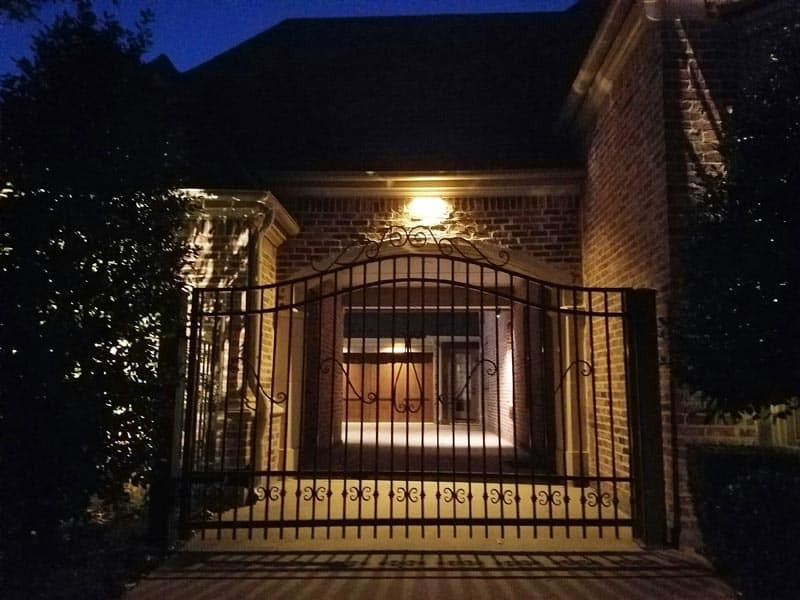 If you’re looking to get security lighting installed on your property, contact Enhanced Outdoor Lighting & Design. We specialize in all areas of lighting design and can help you determine what areas of your property you need lit up for optimal safety. 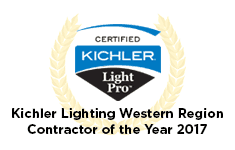 Contact us today to learn more about our lighting options and services.